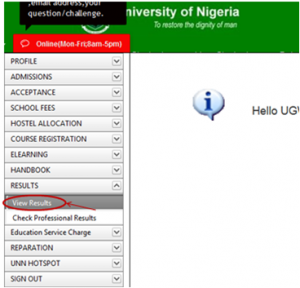 University of Nigeria, Nsukka UNN result checker portal | see how to check UNN post UTME, Semester, GST, Test, Exam, Result Online. Go to ICT ( Access Bank building) to purchase your “Semester Result checking Card”. 2. Type in the address bar on your browser and type in the portal url (unnportal.unn.edu.ng) as shown below. Type in your registration number in the username, then type in your password. 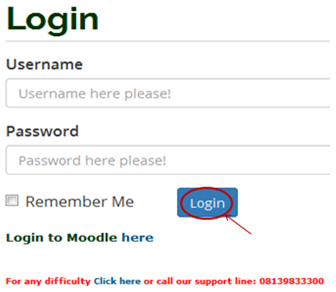 Press the enter key or click on the “Login” button to see the following screen. 5. From the menu items on the left, click on “RESULT” to see the next screen as shown below. Observe the dropdown menu under “RESULT”. 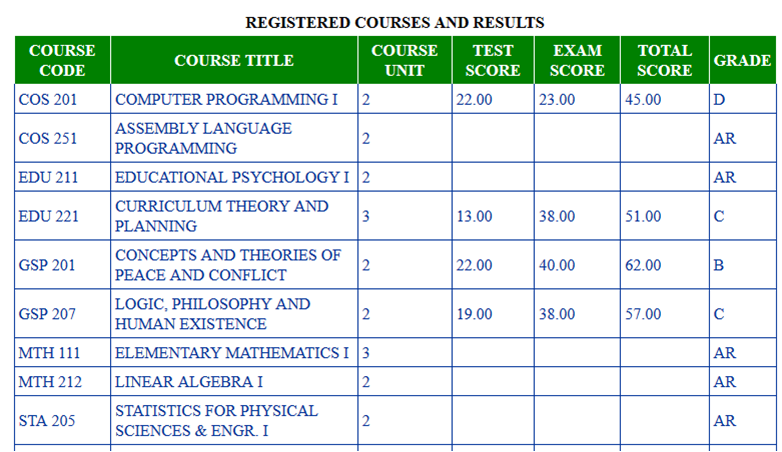 Click on “View Result”, the following screen will appear as shown below. 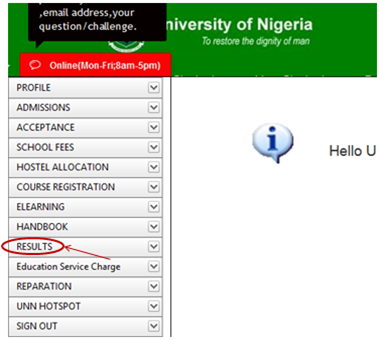 Click on “Select Session” to select the session of the result you want to check. 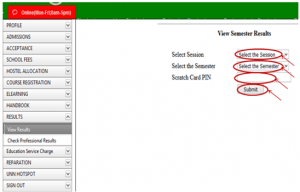 Click on “Select Semester” to select the semester of the result you want to check. 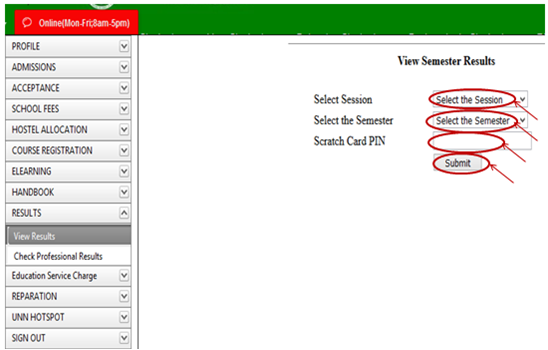 Type in your scratch card pin in the “Scratch Card Pin” column. Click on “Submit” button. 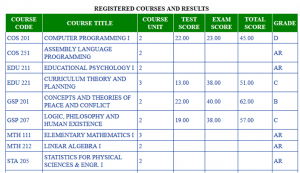 Your semester result will appear as shown below.